Selecting Olympic Class boats gives an opportunity to showcase different styles of sailing. A second parrallel consideration is to give an opportunity to race at high level for a variety of people. These considerations are especially important and especially timely as ISAF decides on which mixed Catamaran and which women’s skiff to select. With that in mind we want to get some real data into the conversation. 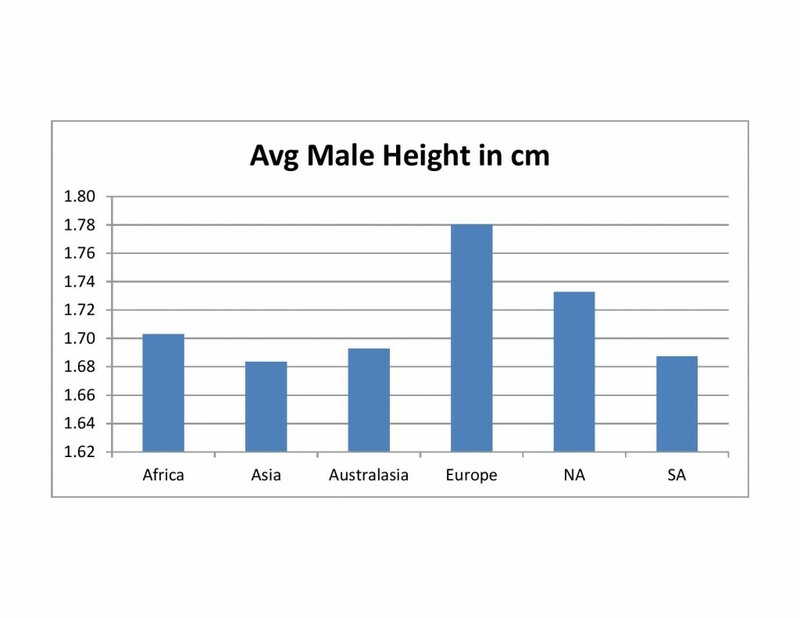 Using the resource http://en.wikipedia.org/wiki/Human_height, a survey on the heights of humans around the world, Port Tack Option decided to take a look at the claim that current (and future) Olympic classes are skewed to be better for smaller competitors. Our analysis produced quite the opposite result, and here is the thesis. Email us for the spreadsheet if you’d like to play with it. It has been argued by some that the best available demographics to rank our classes is the average weight of Olympic athletes. Well, if there was ever a more distorted groups of people to get the every man into a sport I’m not sure what. One only has to play “guess what sport” while sitting in the McDonalds in an Olympic village to quickly deduce that using Olympians are not a typical demographic. Yet for sailing, we’re looking for exactly a typical demographic. In plain English, if you include basketball, volleyball, rowers, etc in a demographic average you’re going to get a skewed result, as the people who excel in those sports are often giants! The wiki demographics tell a simple story. 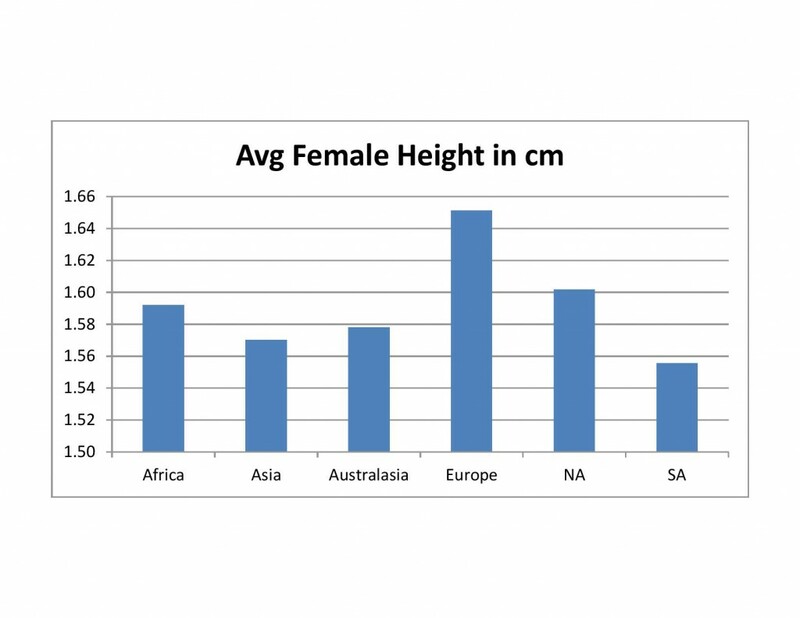 Men and women of the various continents are not giants, and while Europeans are the tallest right now, the variability is not so large. So for the women we have a range from 1.57 to 1.65m with an average of 1.60. For the men we have a range of 1.69 to 1.78m and an average of 1.72. These are the people of the world. If we want to get the most people into our sport as possible, our Olympic classes should cater to people within range of these heights. Of course, while height is important to sailing, weight is the most critical element due to the displacement of water as the boats move. 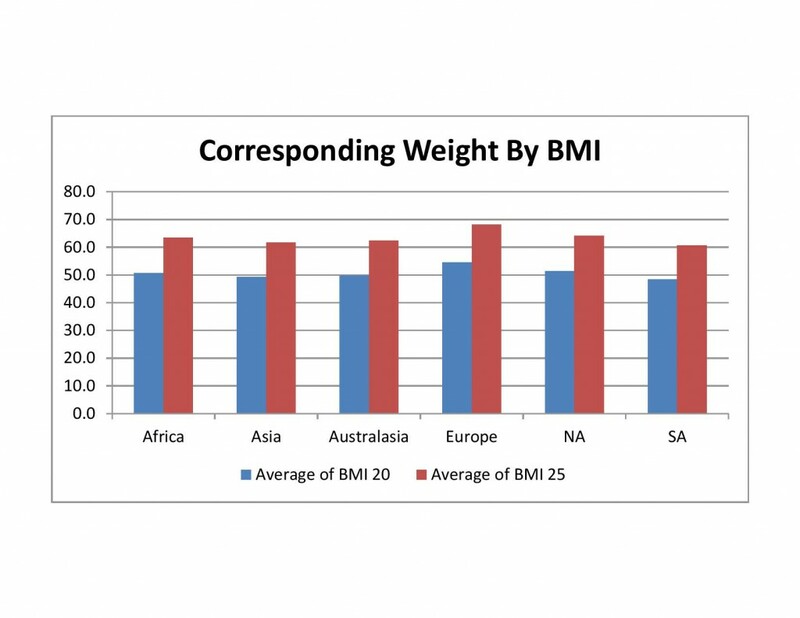 Using these average heights, I calculated the corresponding weights at BMI (Body Mass Index) of 20 and 25. BMI’s are imperfect measures of health by weight, and many Olympic athletes fall low or high of the ‘ideal’ 20, but 20 is considered healthy and I’ll argue that healthy sailors are happy sailors. My thesis is this, by taking normal heights and then assigning (through BMI) healthy weights for normal sized people, we can find out what weights to select boats for. It is folly to use current average human weights, as there is a trend toward obesity in society that sport is trying to counteract. On the other hand, being a healthy weight for average height is perfect, and what we should be striving for. For women at a 20 BMI we have a range from 49 kg to 55 kg with the average at 52 kg. 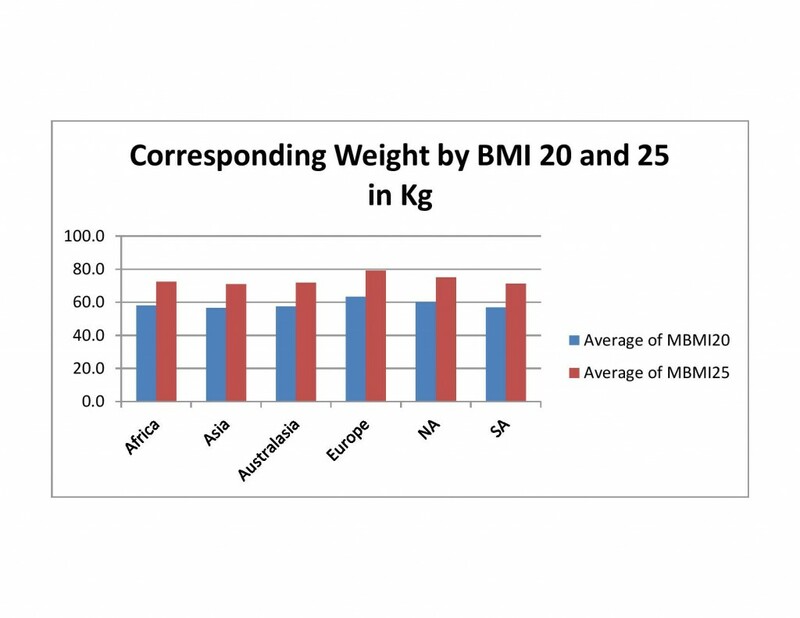 For women at a 25 BMI we have a range from 60 – 68 with an average of 64 kg. For men at 20 BMI we have a range from 56 to 63 with an average of 63 kg. 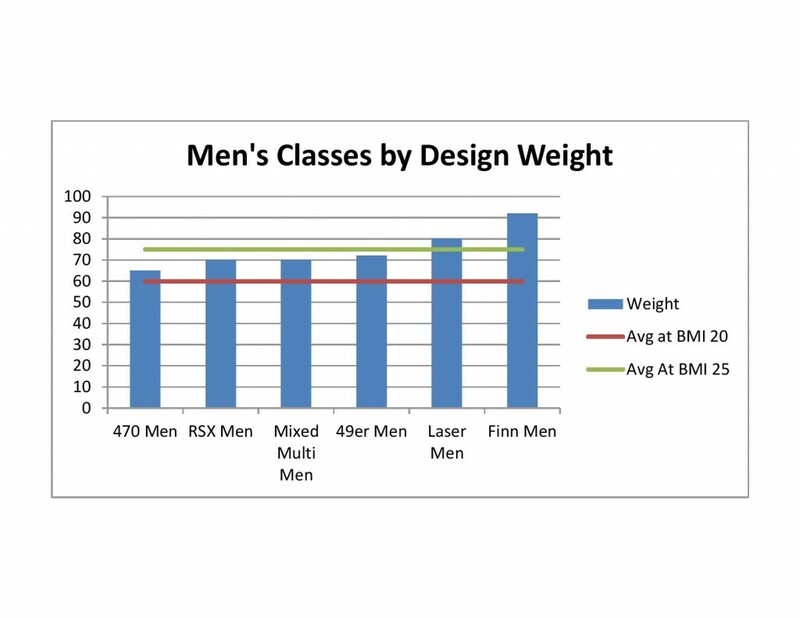 For men at 25 BMI we have a range from 70 -79 with an average of 75 kg. So there we have it. If we aim to center our classes around the people of the world, we should center our weight ranges around 58 (52+64)/2 kg for women and 69 (63 + 75)/2 kg for men. Here is a great article by Andy Rice ahead of the Qingdao games, which is useful with similar thoughts about Rio being mentioned. 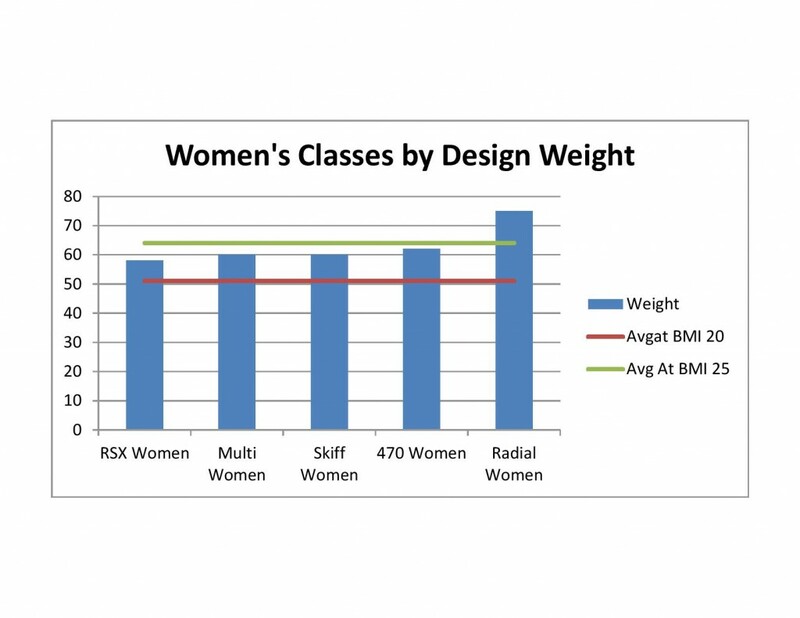 Can you get a graph up there with the tested multi and skiff classes vs. your ideal weights? Great articles, keep them coming.